The choice of a quality microphone is crucial to achieve a good sound on stage (and in the studio). However, using and positioning the microphone wrongly still can mess the sound up. That's why Sennheiser now presents a series of short tutorial videos on how to get the best out of the popular evolution series microphones. In addition to product features the clips also provide useful tips on positioning the microphones at an instrument and help vocalists to choose their ideal model. For the videos, the filmmaker Geert Verdickt – himself a musician and vocalist in a band – has chosen a classical rehearsal room and a typical stage in order to have a closer look at the musicians’ instruments and voices. He gives an illustrative description of the microphones and shows how they can best reproduce the sound of each instrument. 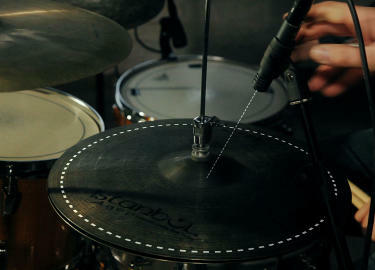 Verdickt’s tips range from mounting the mike to avoiding spill from other sound sources on stage. “We all know that a picture is worth a thousand words, and these videos give a clear and understandable overview of what each microphone is suitable for and what is the best way to mount and position it,” explains Oliver Ohrndorf, Marketing Manager MI for Sennheiser. © 1997 © 2013 Pro-Music-News™. All rights reserved. Thank you for visiting Pro-Music-News.